Made my way safely to the big smoke. Would have posted earlier, but finding fast internet connections is like spotting poeltry with teeth (aye, Glenn?). Really enjoyed riding by myself, which brings a broad range of advantages like going where you want to go, when and how… however, there is nobody to bother when you get bored or join you in pillaging a little village (just as an example). But then I also had much fun just reading a book and hit the sack early. 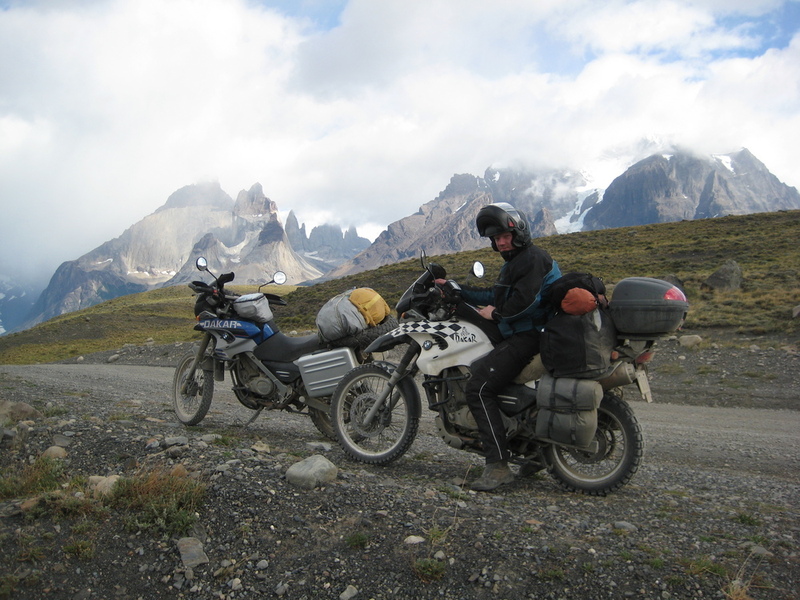 On the way I met Willie, an Argentinian also riding a F650, and we did a few 100 kms together. It turned out that his parents have a rental apartment in the city centre of B.A. where I currently stay. Its nice. Very nice. Willie is a real dude. A corporate rebel usually only know by legends. He has taken some amazing footage of riding a motorcycle through B.A. and with his permission I will post it here shortly. Very enjoyable to watch. As you can imaging, Traffic is absolute crazy (!¡!) and the most challenging I have faced to date. Berlin, for comparison, is a walk in the park since the good Germans all stick to the RULES! (Achtung!) But here, thes latinos make traffic a formula one race – they all must have Juan Manuel Fangio blood running in their veins, so its all about do or die. I figured the only way to survive was by doing the same speed and making all these risky manouvres as they did (when you in Rome and all that…). So I ended up following this dude on a small 125cc that he was riding if it was a Hayabuza on NOX, going in the same direction. Lane splitting, overtaking left, right and middle, running red lights, speeding – ahhm, have I missed anything? You get the idea… Even got stopped by police on a motorbike and got a warning… Always picking on the Gringos! But since he figured that my Spanish was as good as his English he just waved and said something mean (i am sure). As I mentioned earlier, I will post pictures very shortly and fill in the gaps… Watch this space. No Hubba Hubba without Rubba! 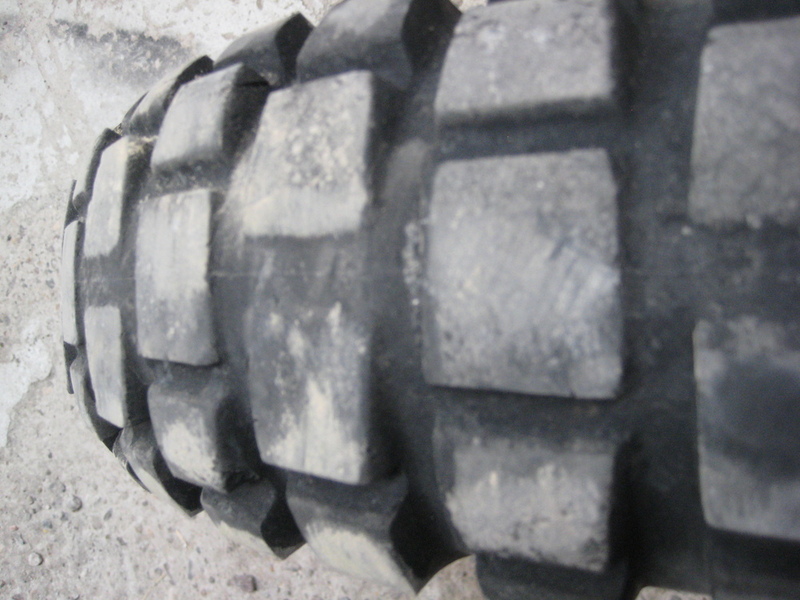 After more than 8000km there was not much left of my rear tyre. Under normal circumstances I would have changed it a long time ago, but unfortunately there is no tyre shop within 1000km. 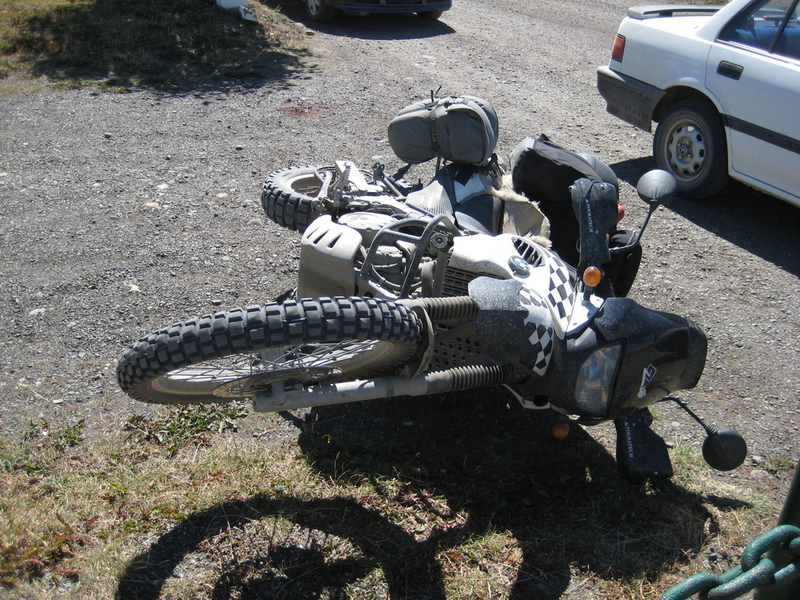 Ended up flying one in from Osorno (thanks to Sonia of Motoadventura). 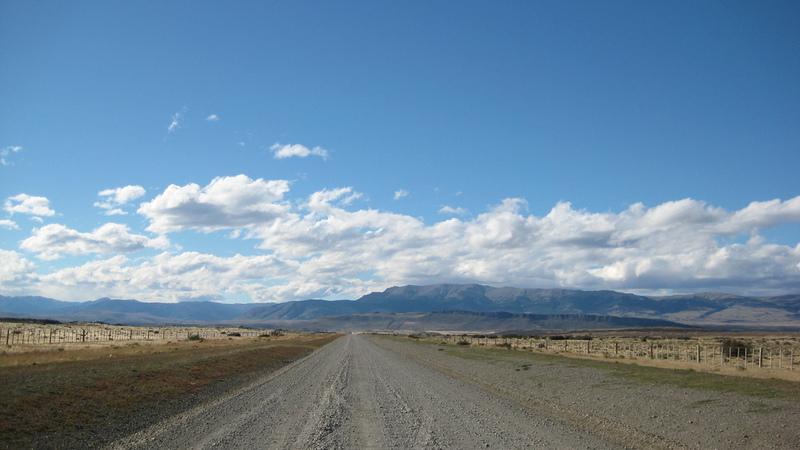 Postage to Cohaique was crazy, but it felt kinda weired on gravel – try to break with a slick on dirt… hmmm… every stepped on a banana skin? The plan is now to catch the ferry at Chaiten and then go to Island Chiloe. Unfortunately Andres was a bit in a hurry, so I will make my way from now on by myself. 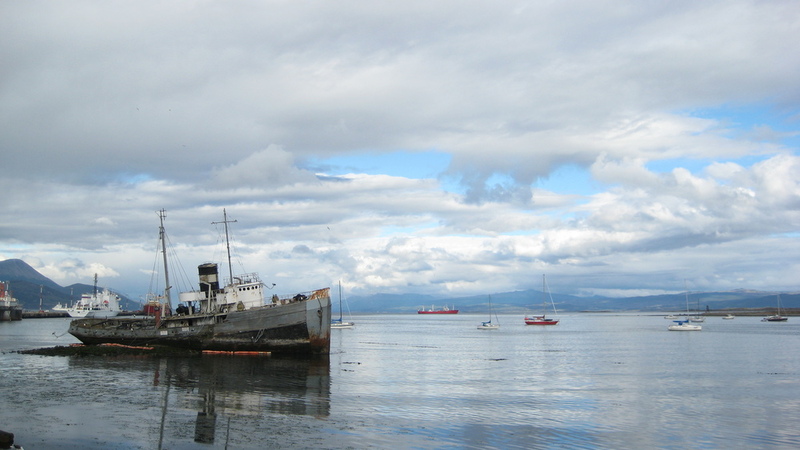 here a shot from ushuaia. spend a few days hanging out and partying. 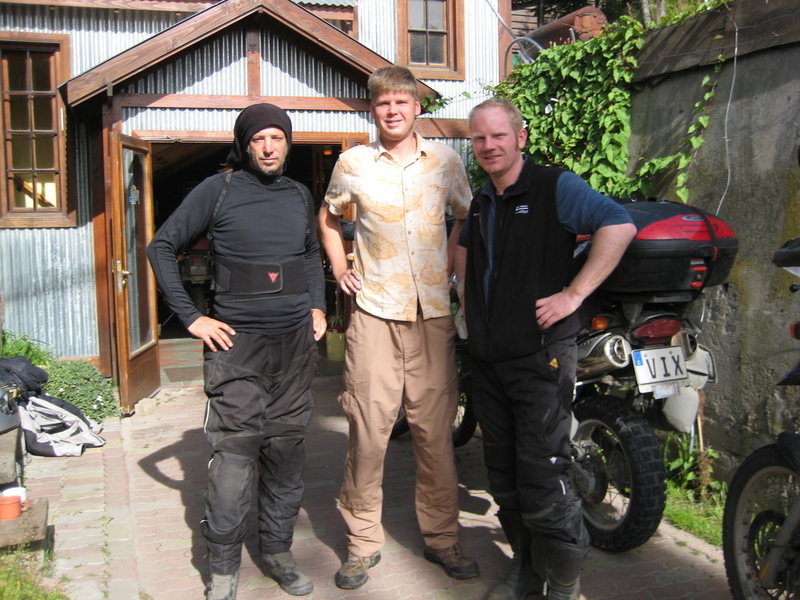 the guys on the photo are Jeff and Andres, the dudes I was riding with all the way down from Santiago. Went to this Penguin colony in the middle of nowhere. 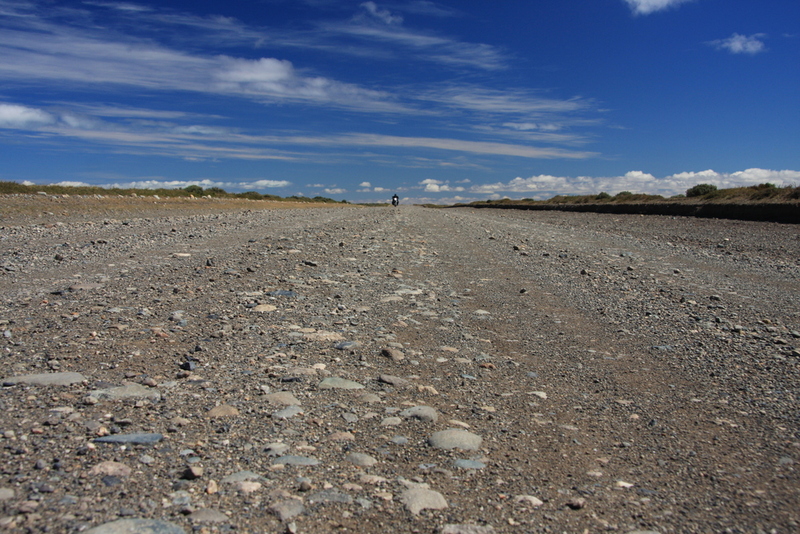 more than 200km of gravel road. As a result I ran out of fuel, but thanks to Jeff´s KTM fuel tank I ´borrowed´ a couple a liters to get me to the next gas station. 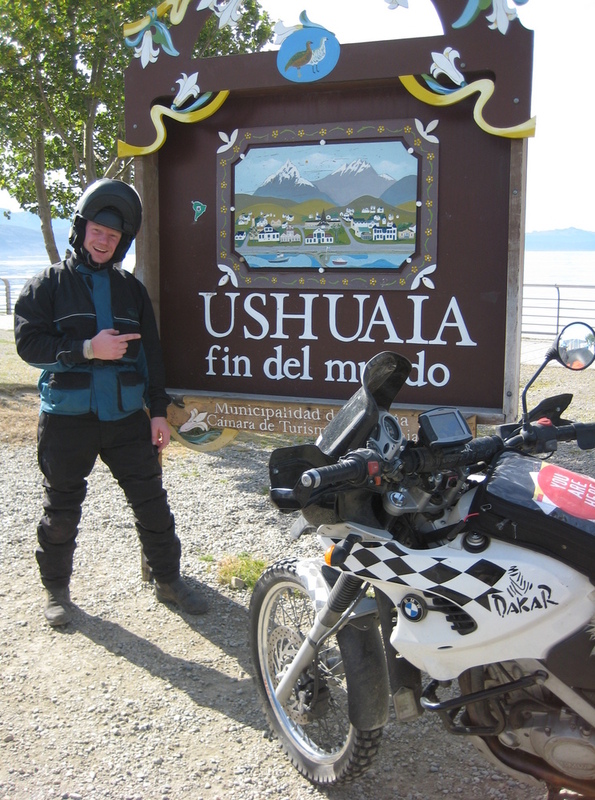 Left the cold part of this continent and rolling northwards… Left Jeff behind since he is waiting for a spare part for this KTM, so riding with Andres (the crazy Chilenian). 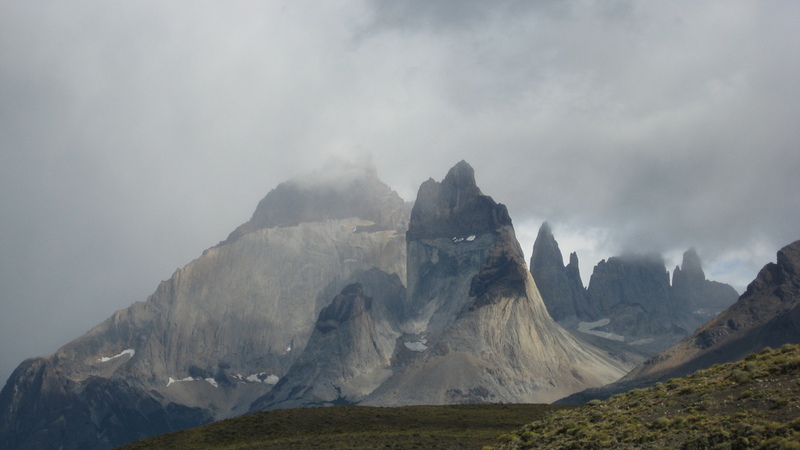 Went to Torres del Paine which was absolut amazing. 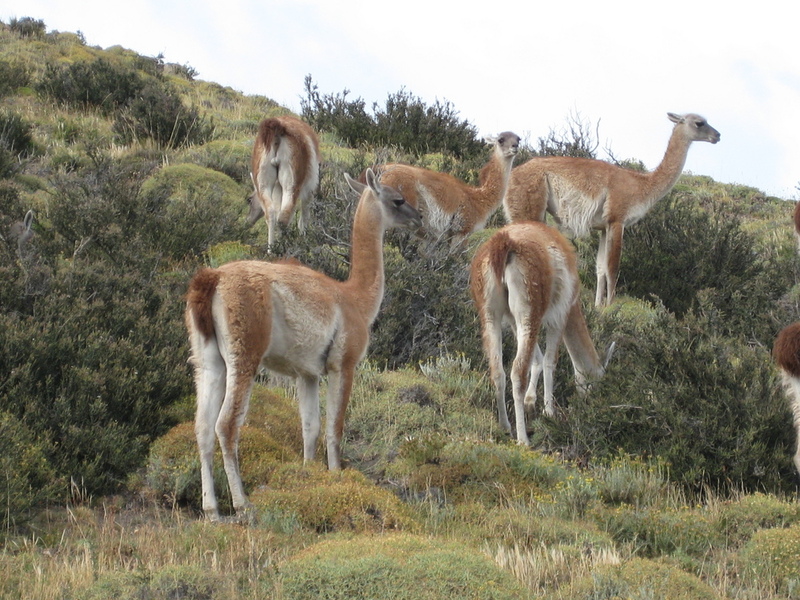 Now in El Calafate. 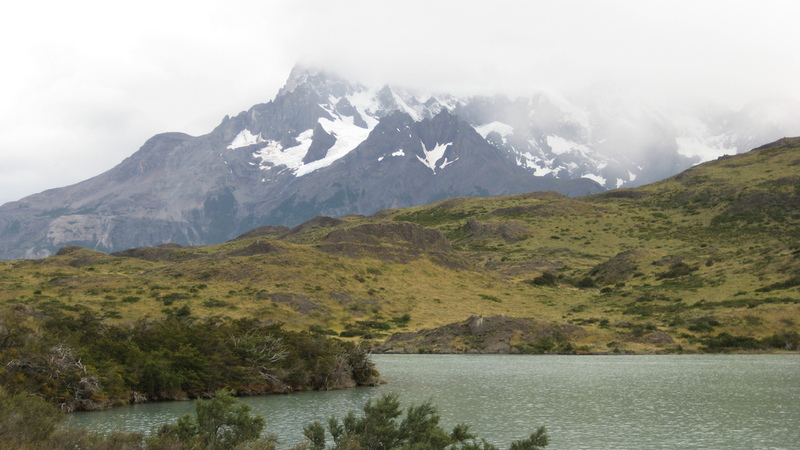 Heading up the famous Route 40 and then the plan is to cross back into Chile somewhere to go the island Chiloe. Will try to post some pictures soon.